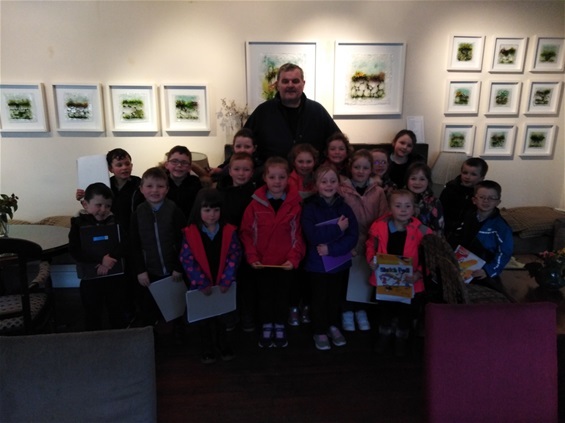 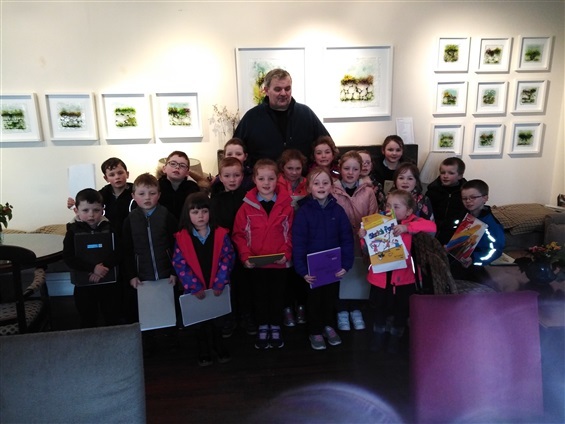 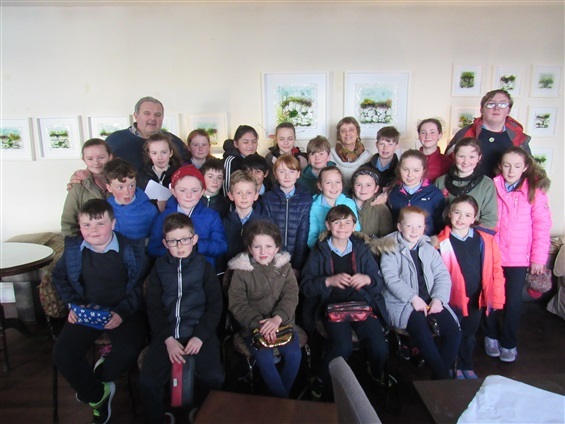 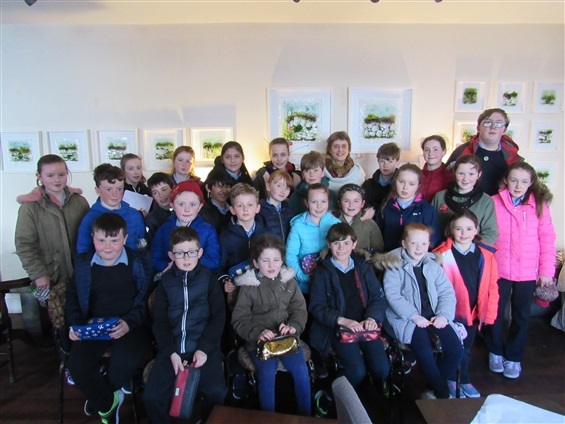 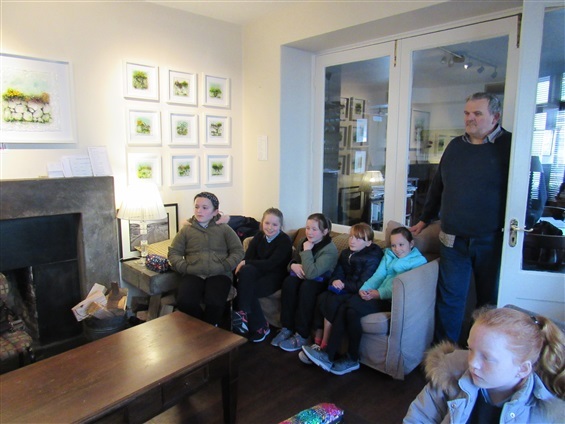 All pupils at our School were invited to an Art Exhibiton at Creedon's Hotel recently. 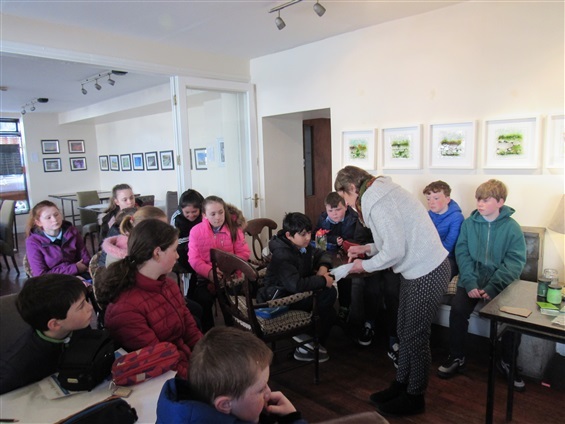 We met glass artist Maura Whelan from Kilnamartyra who told us all about her art work which is inspired by her love of nature. 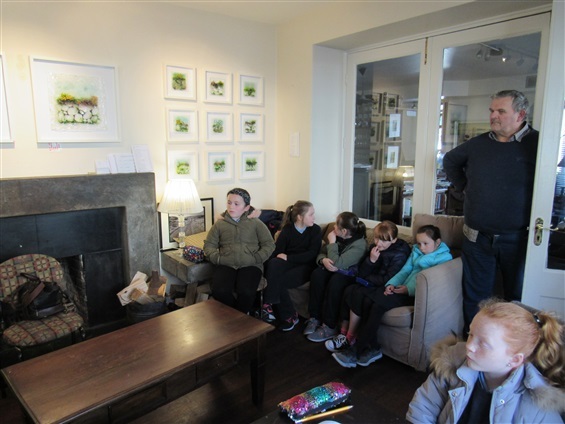 Joe Creedon also had some paintings of his own to show us. 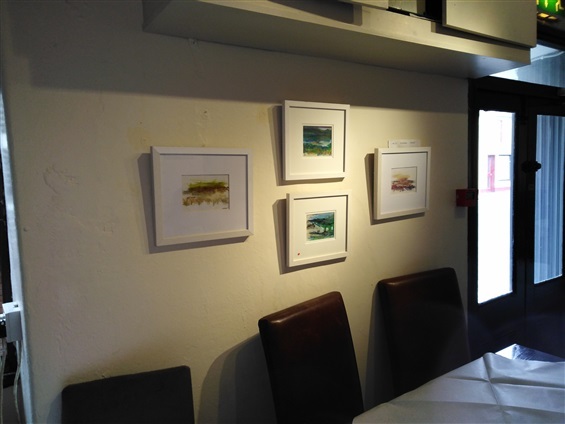 Joe loves to paint the local hills. 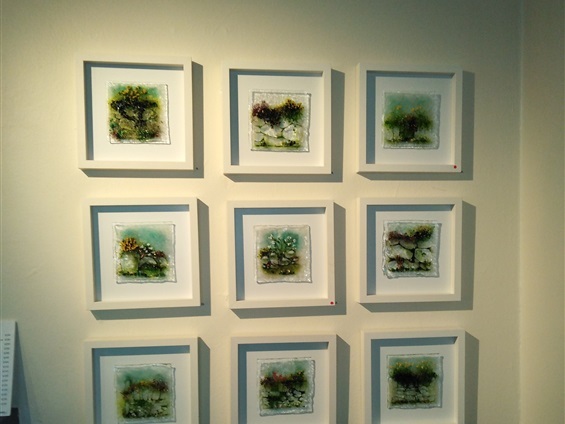 His love of local landscpe inspires him. 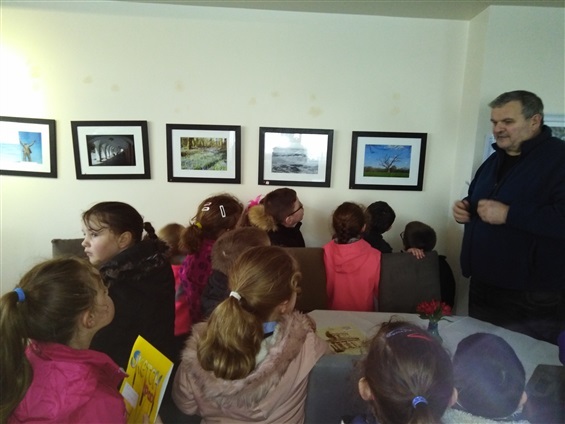 We had a lovely time at the Exhibition . Thank you Joe and Maura.